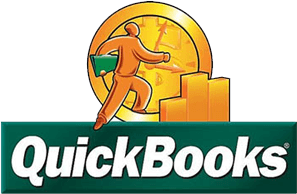 If you have QuickBooks or other accounting software properly installed and configured, 95 percent of your financial data will post automatically and correctly. You need a CFO for the remaining 5 percent. Most companies don’t need or have the budget for a full-time CFO, which is why outsourced CFO consulting services are so valuable. Instead of paying a full-time employee, pay for on-demand CFO services, only when you need them. Leverage our expertise to establish and maintain the financial controls and systems you need to run your business. Is data being posted in the right place? Are accounts payable and accounts receivable posting correctly? Are you properly accounting for inventory? Are you accurately capturing labor costs and accounting for complex assembly parts? Are the right data and paperwork being gathered and organized for the accountant at the end of the year? Do you have a firm grasp of cash flow management? Are you compliant with the Affordable Care Act? These are some of the questions that should be answered by a CFO, not the people entering data each day. Edison Business Solutions also offers interim CFO services to manage the transition between CFOs. Whether your CFO has just given notice or you’re planning to make a change, we can quickly get up to speed on your company’s CFO functions, assume CFO responsibilities on an interim basis, and help your new CFO hit the ground running. Schedule a consultation to learn more about our outsourced CFO and interim CFO services.